A Hypothermia Alert is issued for the County when forecasted temperatures, and/or wind chill, in at least part of the County fall below 32 degrees creating a hazardous situation in which hypothermia and frostbite are likely. A Cold Emergency Alert could be issued for the County when dangerously cold conditions are present, including, but not limited to, sub-zero temperatures and wind chill for which it will be dangerous to be outdoors for prolonged periods of time. There is always particular concern for children, seniors, homeless individuals and animals during periods of extreme cold. Neighbors, friends or family members should check on the elderly, especially a senior living alone. Older people are particularly susceptible to hypothermia, even inside their homes and may need assistance. Montgomery County provides a variety of sheltering opportunities for the homeless. Call the police non-emergency line, 301-279-8000 if an individual appears to be in danger. Animals should not be left outside unattended. Leaving animals outside unattended in these conditions may be considered an act of cruelty and pet owners could be charged and fined accordingly. Executive Regulation 17-17, unattended tethering of dogs goes into effect during periods of extreme cold. Call the police non-emergency number, 301-279-8000, to report an animal that appears to be in danger. All Montgomery County facilities, such as libraries, recreation centers and senior centers are open during their regular hours for use by anyone needing an escape from the cold. Public shopping centers are also available as warm locations during their hours of operation. Outreach program providers encourage individuals who are homeless to seek shelter. For timely severe weather and emergency notifications, go to alert.montgomerycountymd.gov and sign up for Alert Montgomery. Warnings and emergency updates will be sent directly to your cell phone (text), landline phone, computer (Twitter & Facebook) and/or email address. The service is free, but text charges may apply, so check with your cell phone carrier before selecting text alerts. Extreme cold is a dangerous situation that can bring on health emergencies in susceptible people, such as the very young, seniors, those without shelter or who are stranded, or who live in a home that is poorly insulated and/or without heat. 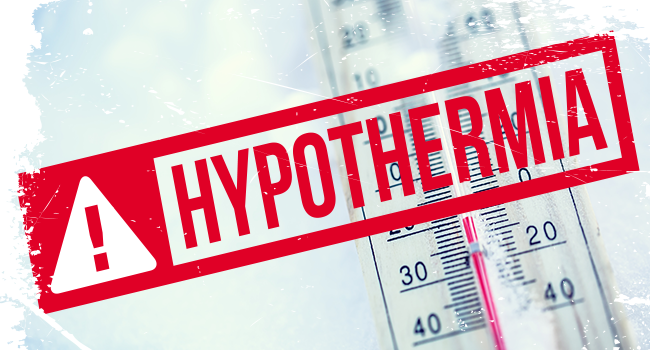 Hypothermia can result from prolonged exposure to the cold. When exposed to cold temperatures, the body begins to lose heat faster than it can be produced. When the body’s store of energy is used up, the result is hypothermia. Because hypothermia can affect the brain, a person may not be aware that it is happening, and not take appropriate steps to prevent damage. Frostbite is an injury to the body that is caused by freezing. Frostbite causes a loss of feeling and color in affected areas, typically the nose, ears, cheeks, fingers or toes. Signs of frostbite include redness or pain in any skin area, a white or grayish-yellow skin area, skin that feels unusually firm or waxy and numbness. Montgomery County Health and Human Services staff, as well as community-based providers will continue to reach out to homeless individuals in the community to urge them to seek shelter during periods of extreme cold temperatures. Anyone who has concern about the safety of a homeless individual should call the police non-emergency number, 301-279-8000 to report the location and provide a description of the individual. without any pre-screening and are prepared to go over regular capacity during periods of extreme cold. The County’s Department of Health and Human Services Mobile Crisis Team will also be operational and can be reached at 240-777-4000. During periods of extreme cold, all emergency and transitional shelters will allow homeless individuals to stay inside until temperatures improve, and/or return to a shelter early from daytime activity programs. The Interfaith Works Empowerment Center, located at 8106 Georgia Avenue in Silver Spring is also open during the day. For additional information on County services contact MC311 by calling 3-1-1 or 240-777-0311 between 7 a.m. and 7 p.m. weekdays, or through the www.MC311.com website address which is available to receive emails 24/7. Try to stay indoors, and make trips outside as brief as possible. Limit outdoor recreational activity. Outdoor cold weather exertion puts extra strain on the heart. If you plan to use a wood stove, fireplace or space heater, be extremely careful. Never use generators, grills, camp stoves or similar devices indoors, inside a garage, or near the air intake of your house because of the risk of carbon monoxide poisoning. During cold winter weather, keep the gas tank near full to help avoid ice in the tank and fuel lines. Make sure there is adequate antifreeze. Keep a cell phone charger and a charged cell phone in your car in case you have an emergency. Never leave a person of any age alone in a vehicle. Have extra blankets and supplies in case of a breakdown. During a period of extreme cold temperatures, the Montgomery County Police Animal Services Division (ASD) enforces Executive Regulation 17-17, Anti-Cruelty Conditions for Dogs. Director of Animal Services Division Thomas J. Koenig is notifying residents that animals must not be left outside unattended. Furthermore, leaving animals outside unattended in these conditions may be considered an act of cruelty and pet owners could be charged accordingly. The enforcement of this regulation is put into effect during conditions of extreme cold, wind, and heavy snow which can all be harmful to dogs and other animals. The penalty for this violation is a $500 fine. Dogs that usually spend long periods of time outdoors must have access to shelter to properly protect them from the elements; however, during periods of extreme cold they should be brought inside or have an adequate heat source approved by the Director. Montgomery County Police Animal Services Officers want to remind citizens to be particularly careful with all pets during this time period of record cold. The best advice during periods of extreme weather conditions is to bring your pets indoors. Even animals that are accustomed to living outdoors can be susceptible to the dangers of cold weather. Livestock animals should have a place to get out of the wind and the elements; dry bedding should be provided to protect them from frostbite. ASD Officers will be on-call, patrolling neighborhoods and responding to any animal-related emergencies. If you see an animal left outside that appears to be in danger, please call the Animal Services Division immediately at 301-279-8000. Never leave your dog or cat alone in a car during cold weather because a car can act as a refrigerator in the winter, holding in the cold and causing the animal to freeze to death.